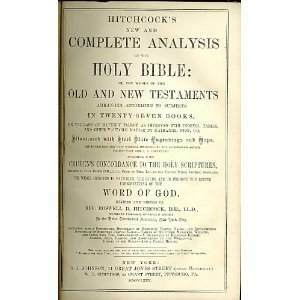 I have an original copy of Hitchcock’s new and complete analysis of the Holy Bible, 1869. What is it worth? Hi Laurie. That’s a good question. I’m not sure. I’ll see if I can find out. Picturesque America Volume 1 & 2 (both need binder work). Was wonder what there worth may be. I have 2 copies of the Dugan/Jubilee Topical reference Bibles. One has been lightly used, as in no visible damage, no markings, no highlighting. It was properly broken in to prevent any damage to its spine. It is burgundy, genuine leather with indexing. As far as I know, it was from the last run before the Colombian connection. I also have one of those printed in Columbia. The difference in quality between these two Bibles is amazing. It too is burgundy colored in genuine leather, but the leather is not nearly as good. It’s stiff, not flexible. The paper isn’t of the same quality and it has squared corners, rather than rounded. This Bible was from the last batch of the Dugan/Jubilee Topical Reference. I had ordered these direct from Jubilee, but not at the same time. I made the mistake of having my name embossed on the Colombian one. It is perfect, except for that. Does anyone have an idea what these might be worth? IN GOOD CONDITION. WHAT IS IT.S VALUE NOW?